Even with a small group this achieve is tough. You can only soak balls if you have stacks of Vernichtung. You will only get stacks from things that also generate balls. The following abilities generate orbs. Essenz abscheren - Frontal cone attack used at the active tank. Spawns a bunch of orbs. The boss should be faced away so that only one tank is hit at a time. Auslöschungsschlag - Frontal cone attack faced at a random non-tank player. Each person hit generates a few orbs. This should always be dodged during this achievement. Nahender Untergang - Debuff placed on random targets (2 people per cast with an 11 man group) that does dropoff damage upon expiration. Normally you'd go all the way to a wall to drop this, but for the achievement you should avoid this. I'll explain why this is a little more down below. Xalzaix' Erwachen - As you phase transition the boss will zap everyone in the raid, and spawn orbs around each person. These transitions start at 65% and 30%. Essenz abscheren - Is the same as the P1 Essence Shear but comes from the Zerstörer der N'raqi mobs instead of the boss. Auslöschungsstrahl - Is a frontal beam the boss channels throughout the phase. The channel happens for about 5 seconds at a time before switching to a new direction. 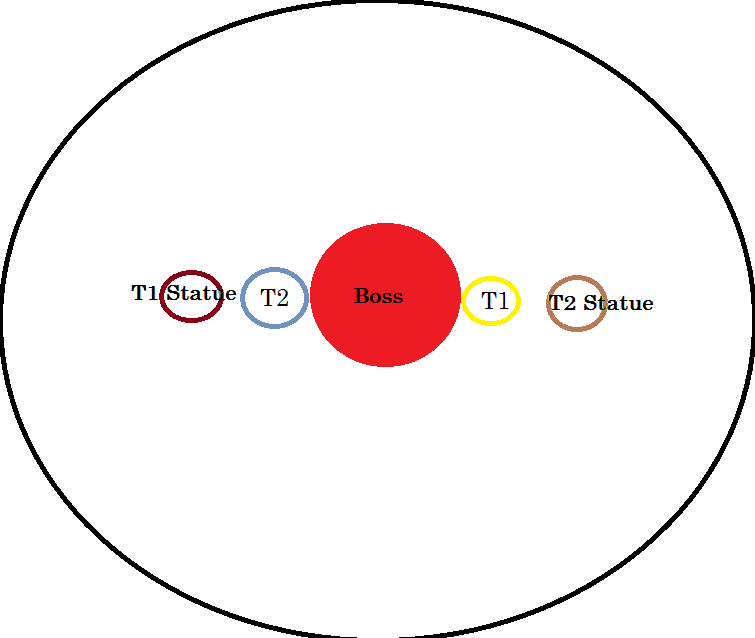 Take a look at the boss to see what direction he's facing. The Brewmasters place their Transzendenz on their World-Mark and quickly change position to the opposite-Mark (you have enough time before the first Tank-Hit happens, no worries about timing). While falling, set up the Statue des Schwarzen Ochsen beschwören on the "outer" Worldmark on the same side of your own Transcendence. Careful not to have anyone equip an azerite piece with Lasermatrix as it can inadvertently knock people inside Vergessenssphäre. Had this happen a couple of times during our progress on this achievement before someone checked damage meters. We've recently applied a couple of hotfixes to the Mythrax encounter: Vergessenssphäre now prioritizes ranged targets when possible, and the Existenzielle Krise achievement now functions as described. Doing this achievement tonight after the hotfix we found out pets hit by Auslöschungsschlag \ Nahender Untergang spawn orbs and getting that orb WILL fail the achievement, make sure you have NO PETS at all (even things like G'huuns bezwungenes Tentakel or mistweaver statue ect).